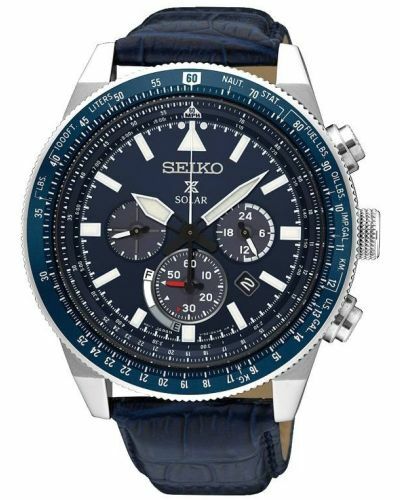 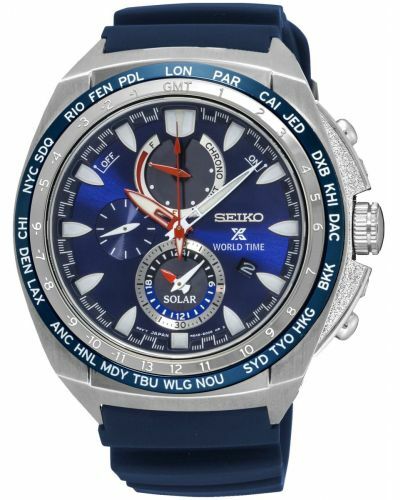 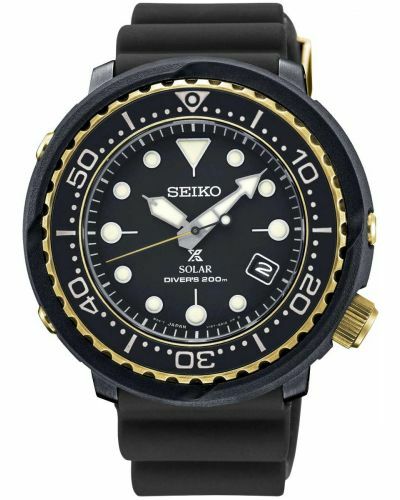 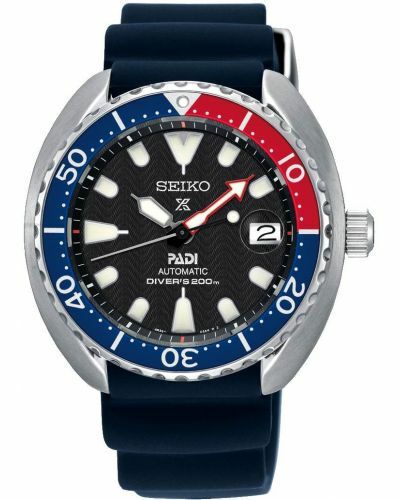 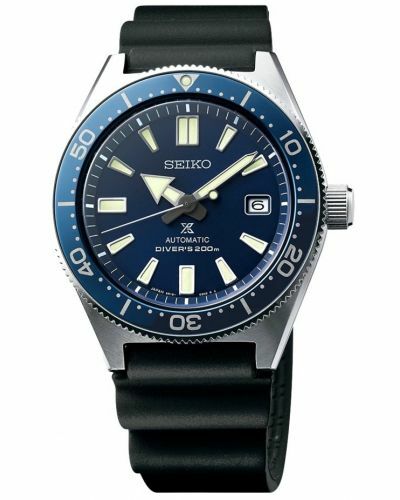 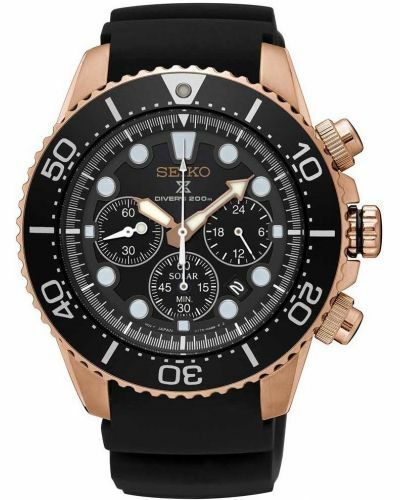 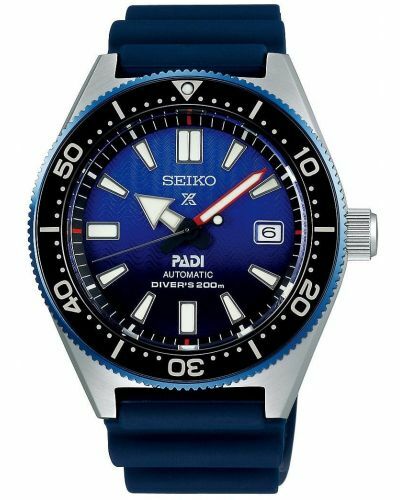 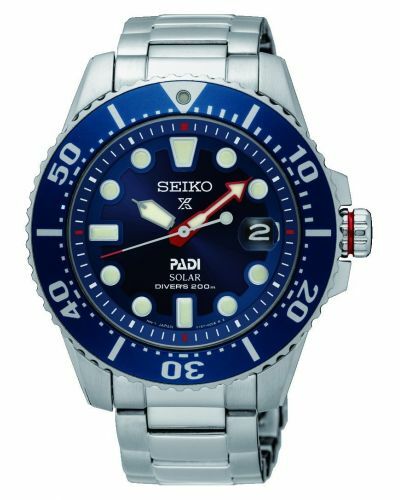 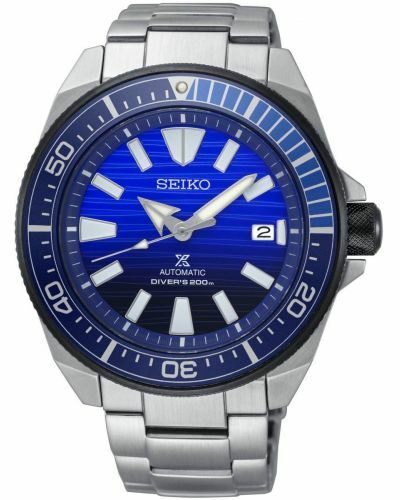 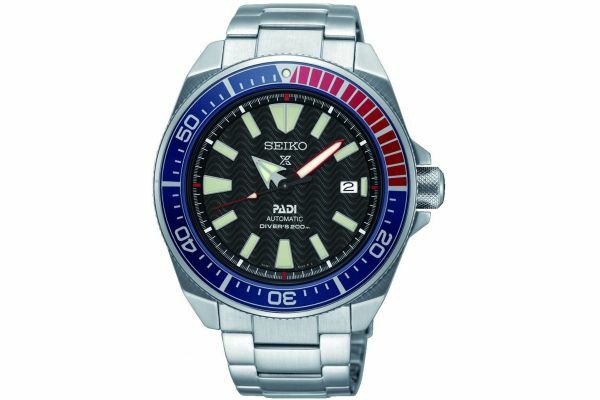 This stunning men's watch is brought to you by world renowned Japanese watchmakers Seiko as part of their PADI Prospex Divers range. 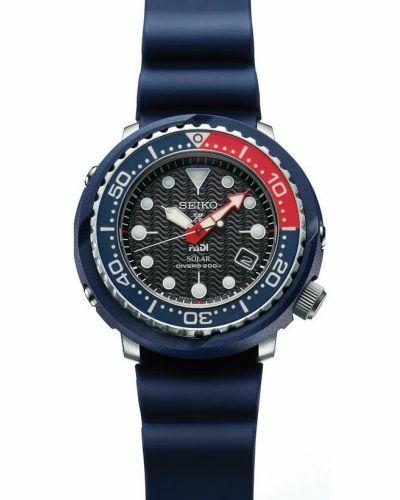 Featuring a 44mm Stainless Steel case with an exquisite 'Pepsi' coloured bezel complete with hour markers. 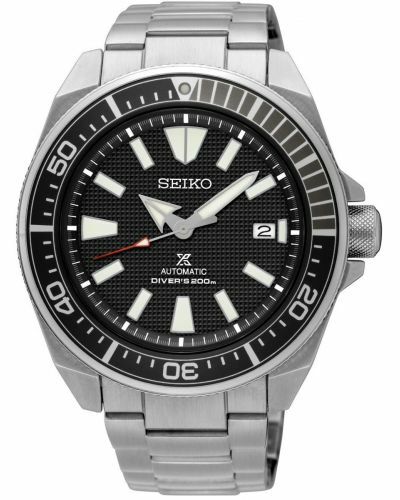 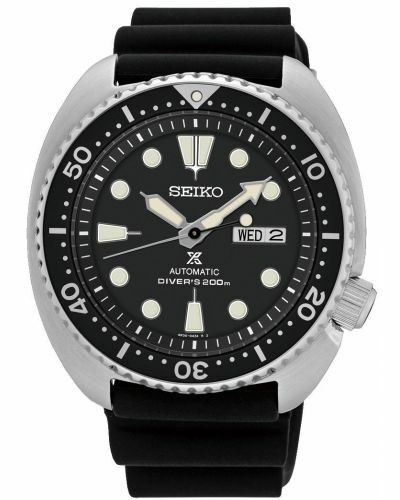 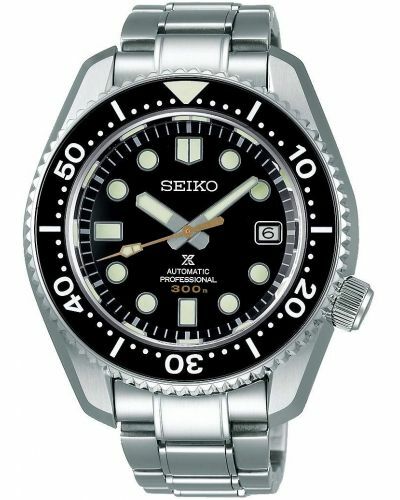 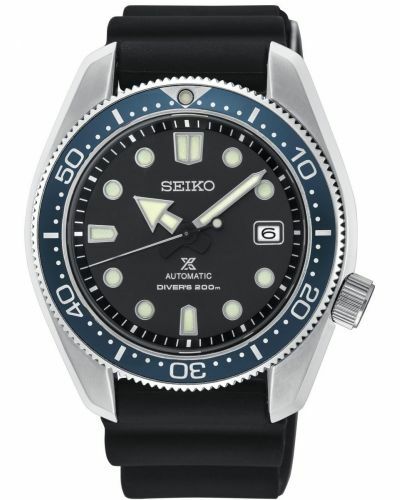 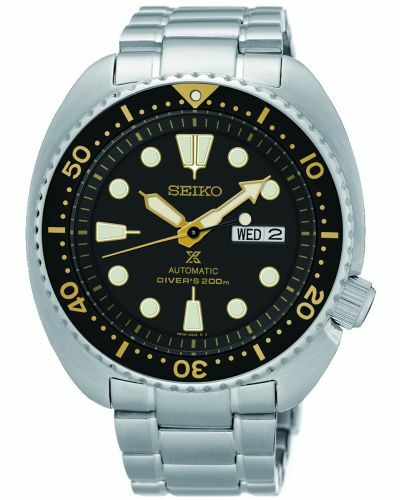 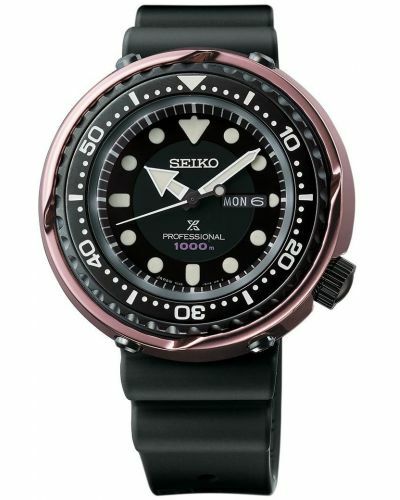 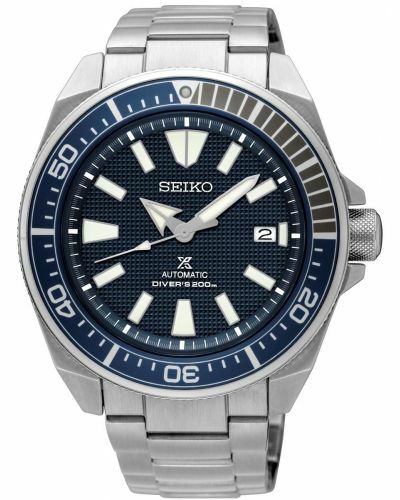 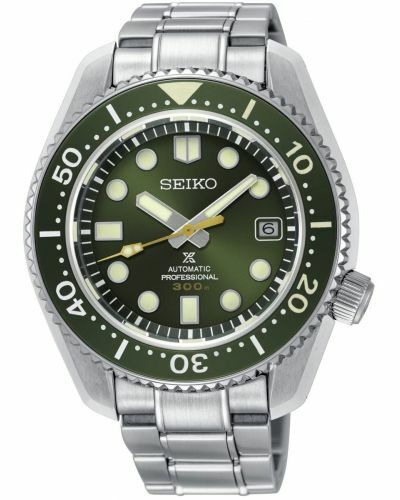 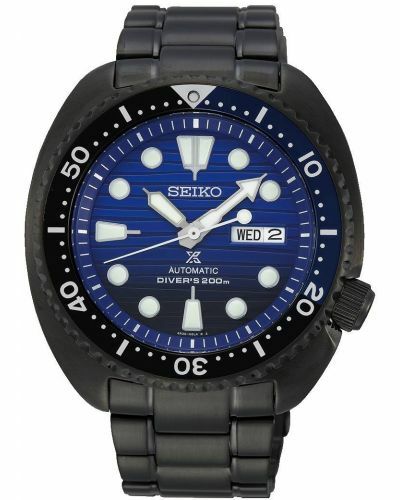 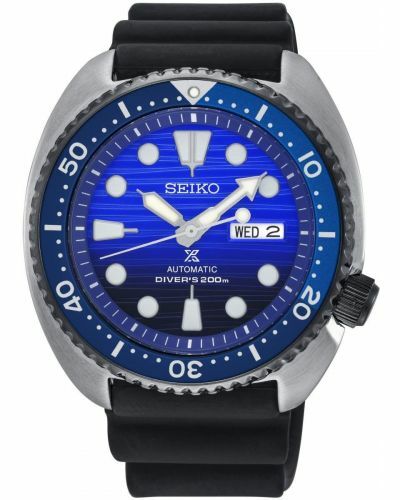 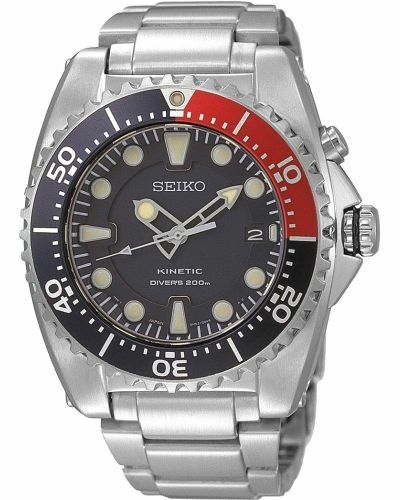 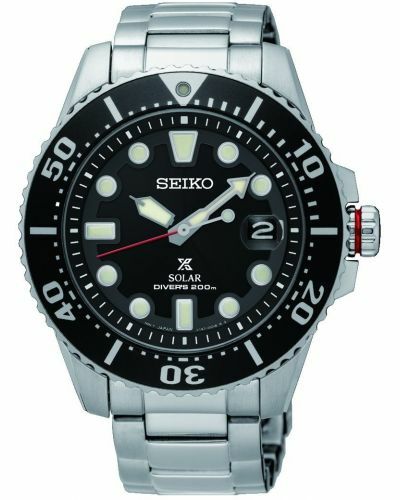 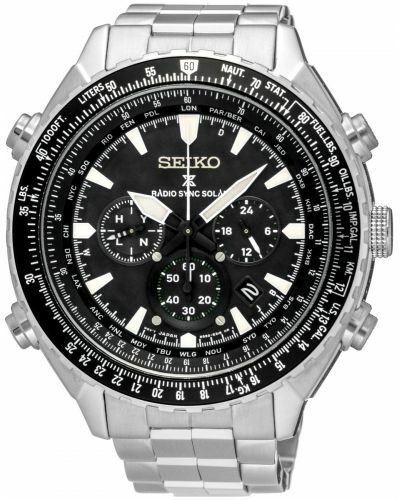 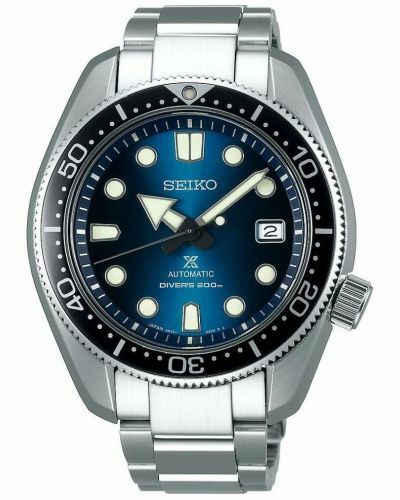 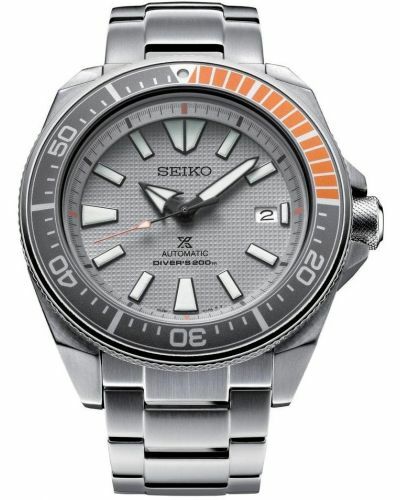 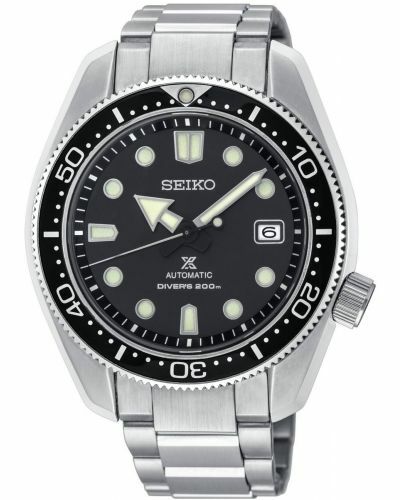 This Seiko watch presents with a striking grey dial and Lumbrite batons; allowing for high quality visibilty whilst diving. 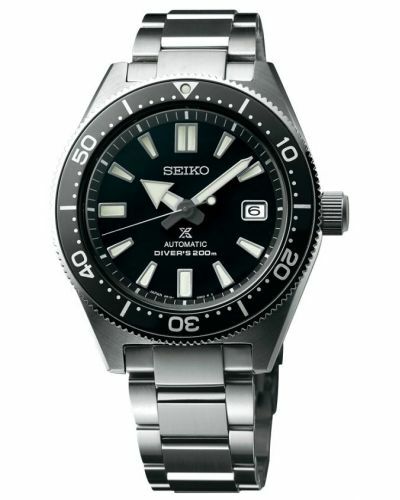 A small crisp date display window is located at the 3 O'clock position. 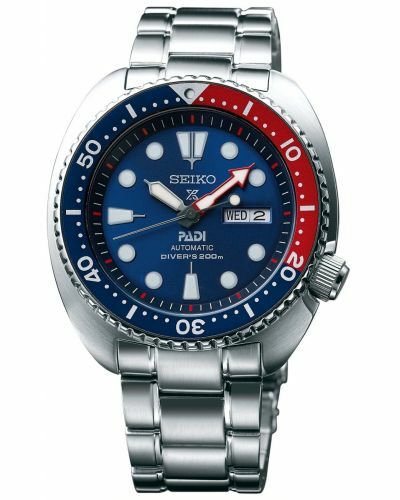 Set upon a suave stainess steel link bracelet and fastened by a secure fold over clasp; this diving watch is both aesthetically pleasing and practical. 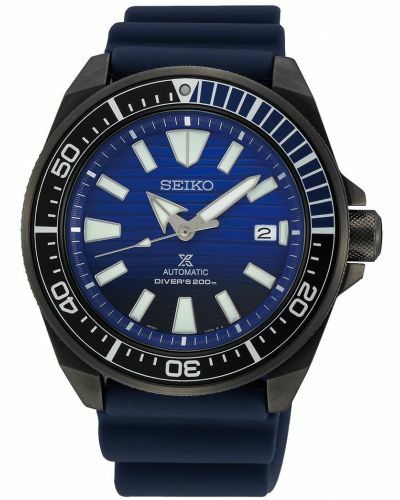 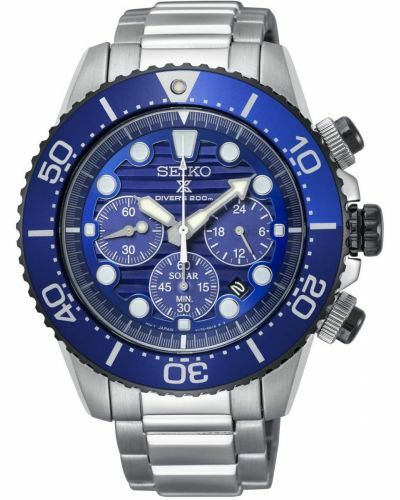 Powered by Automatic movement and protected by scratch resistant anti-glare Sapphire glass, the Seiko Prospex Diving watch allows for perfect clarity both on land and under water. 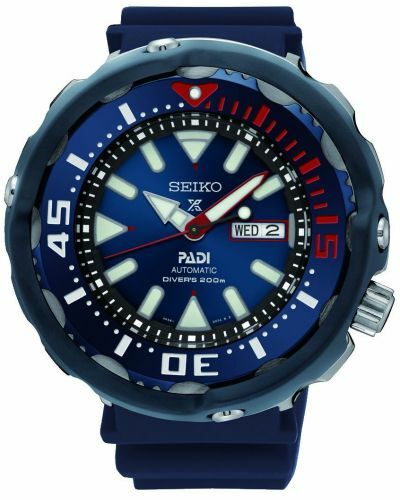 Certified by PADI (The Professional Association of Diving Instructors) as a watch perfect for professional diving with the use of Scuba equiptment; this watch is guaranteed to be water resistant up to depths of 200 meters.